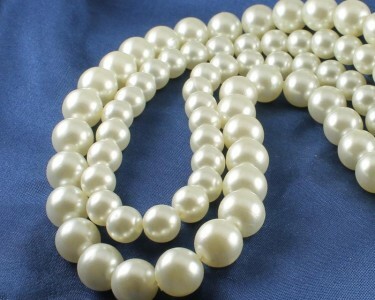 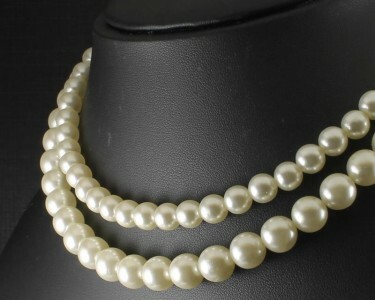 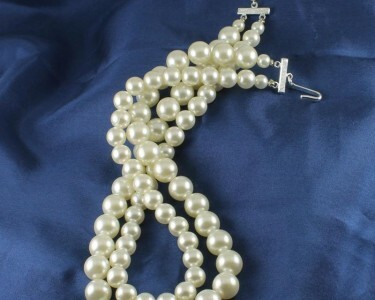 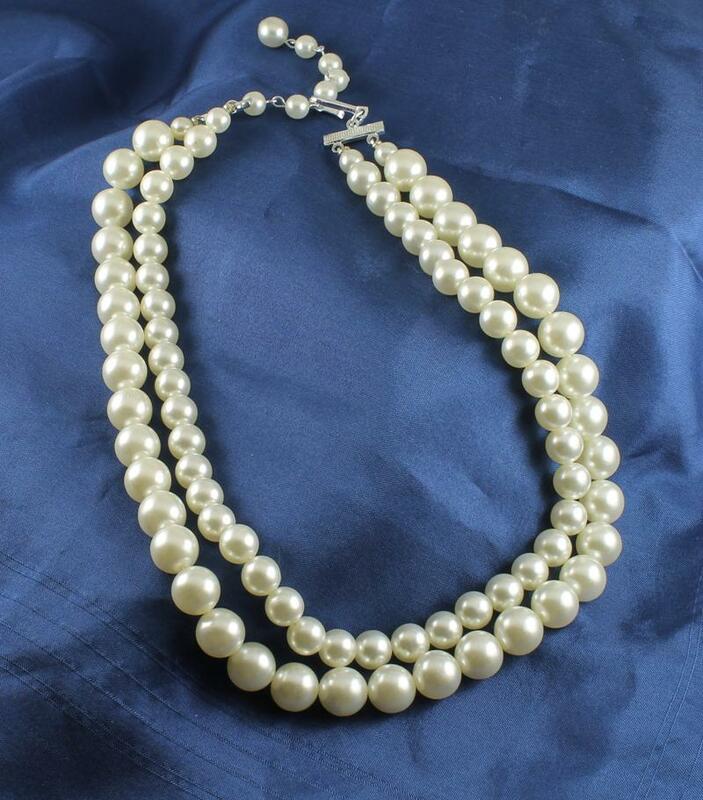 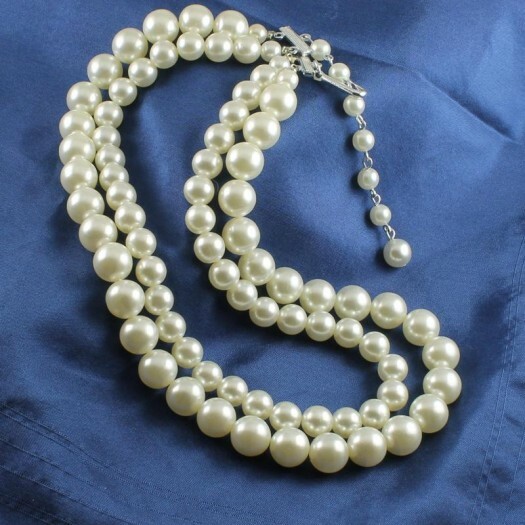 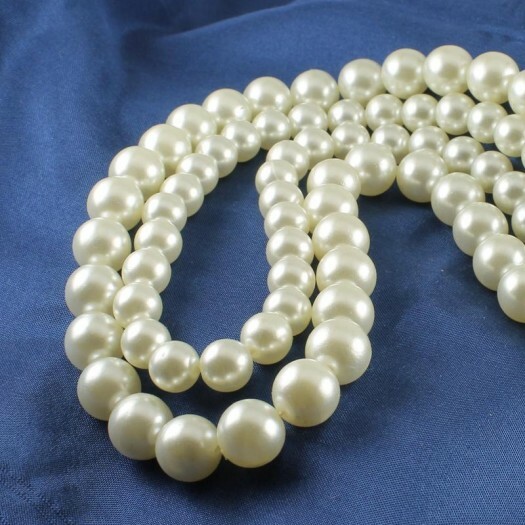 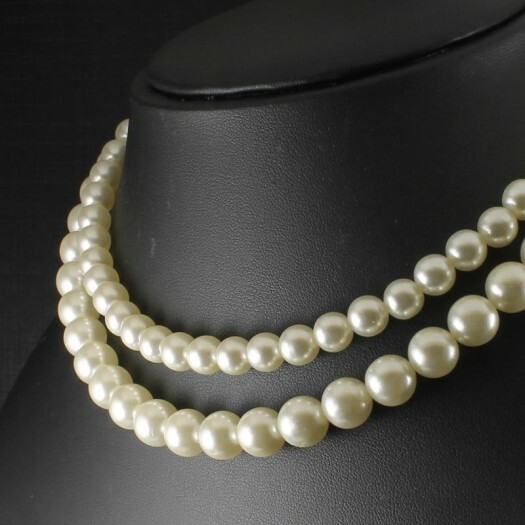 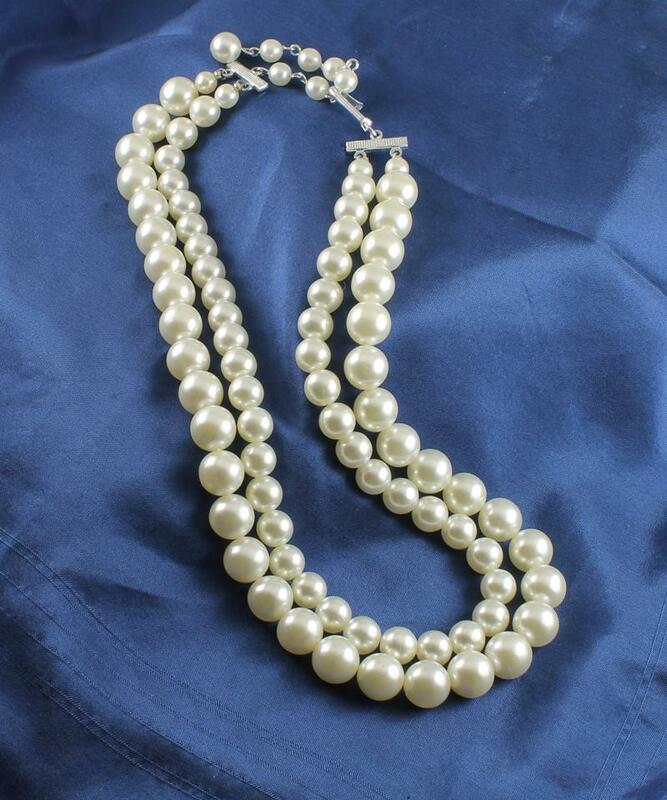 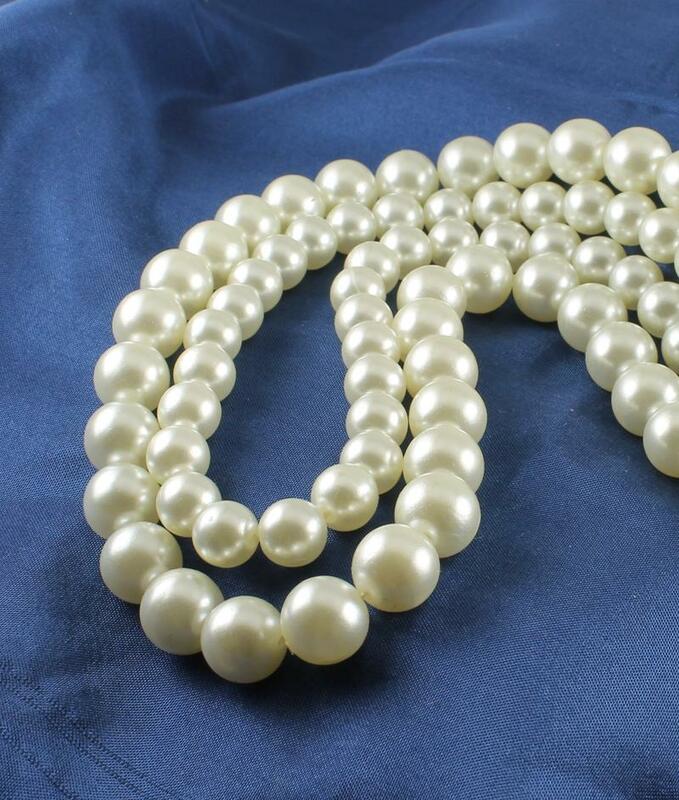 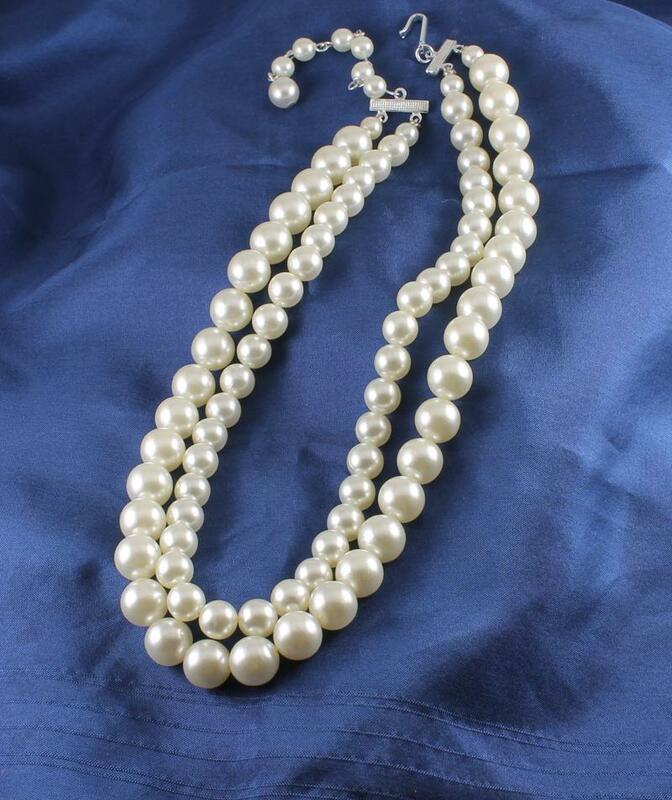 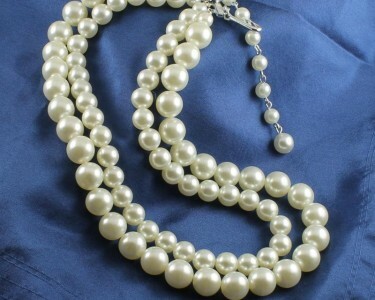 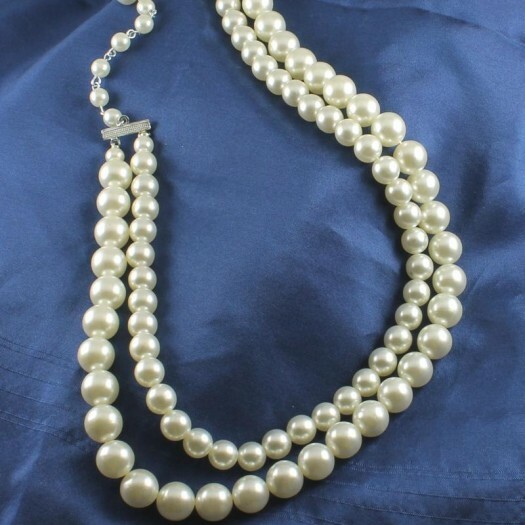 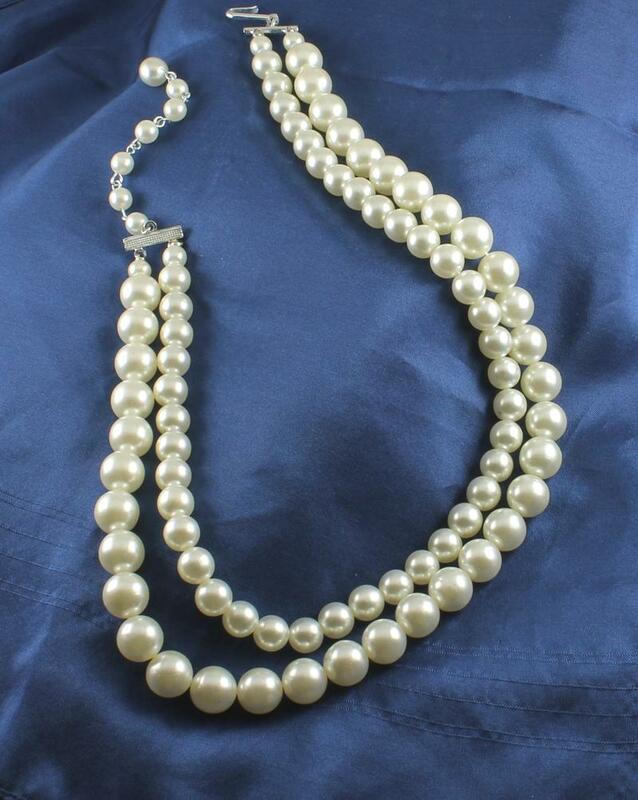 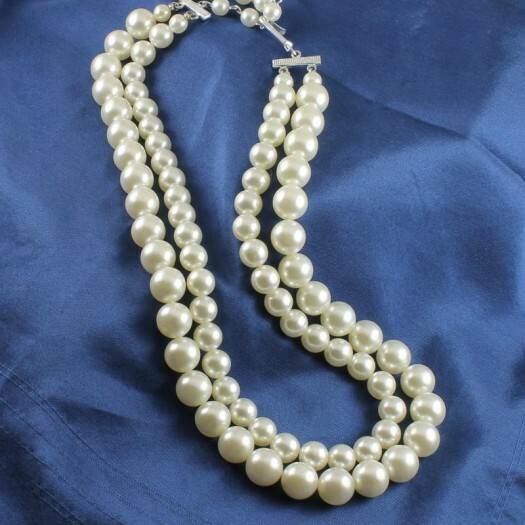 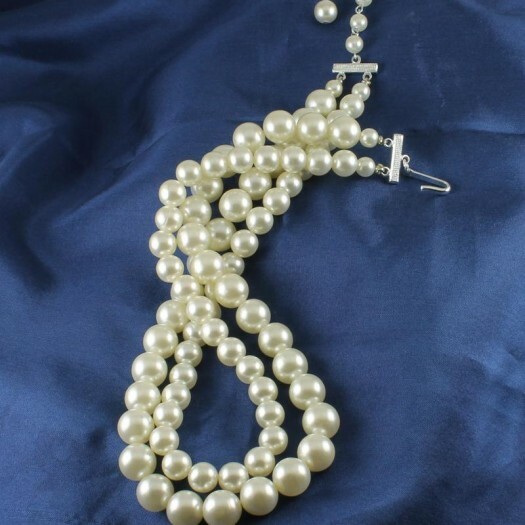 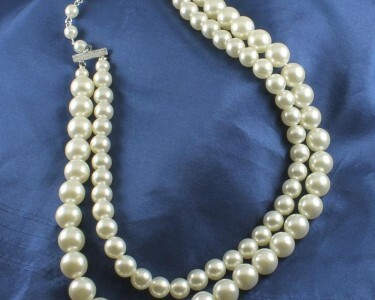 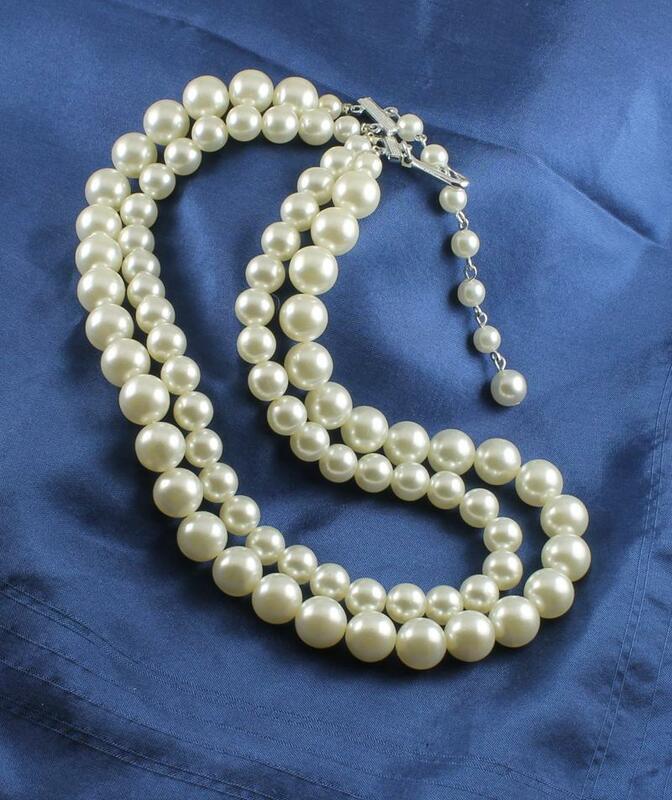 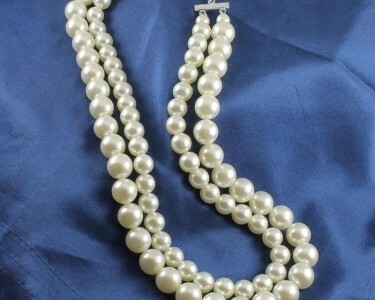 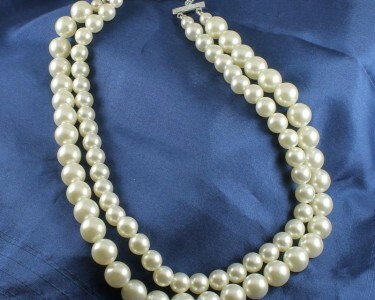 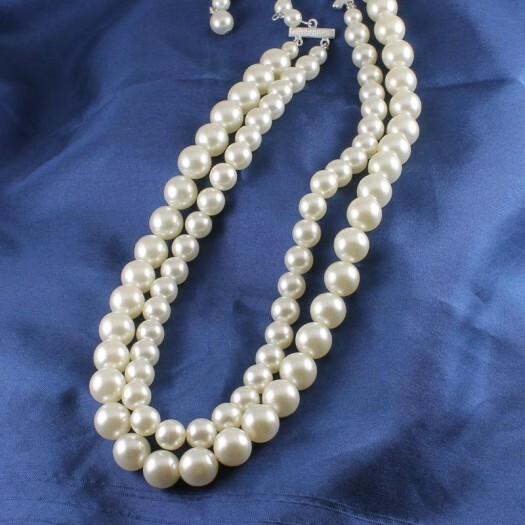 This handsome, vintage, double-strand faux Pearl necklace – circa 1950 – features lustrous, round, high quality white faux Pearls in two different sizes, the inner row being slightly smaller than the outer row. 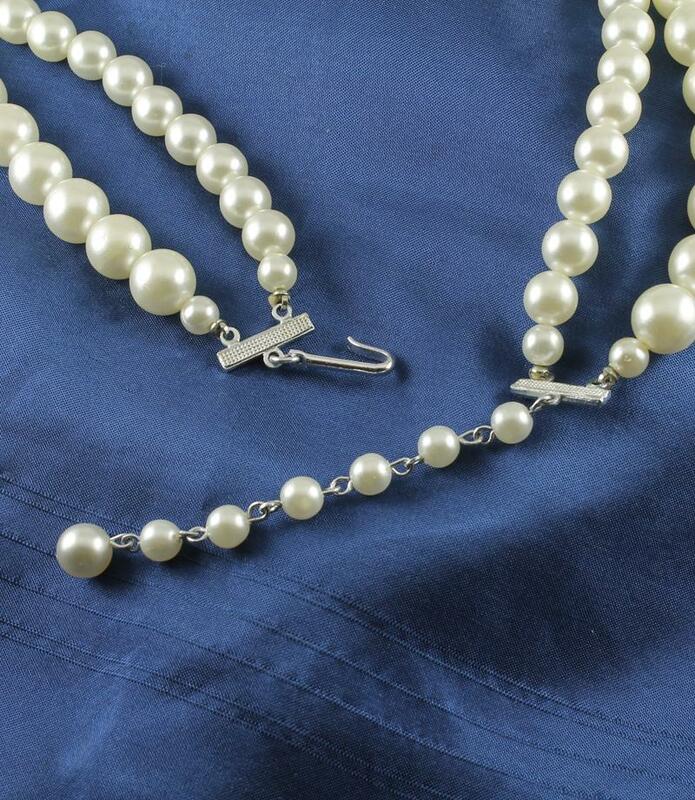 The necklace is fastened with a light aluminium hook clasp and is fully adjustable as a collar or choker via a Pearl extender chain. 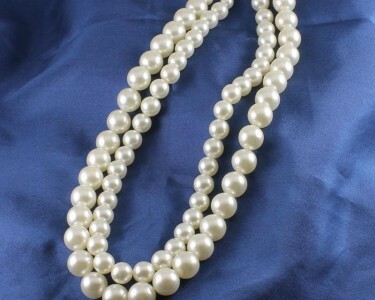 Condition: Like new; pristine, with no signs of wear, all gemstones present and brilliant. 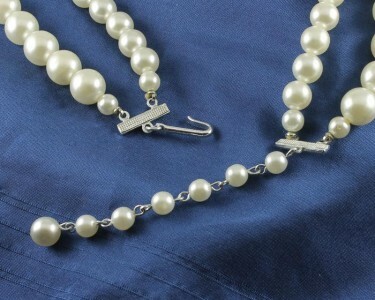 Materials : White Faux Pearls, Aluminium clasp. 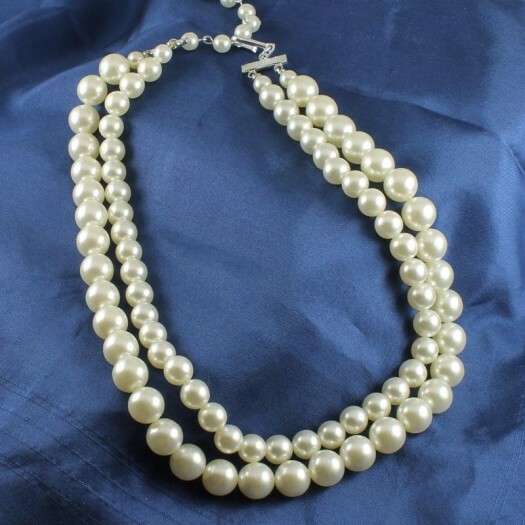 Wear It With : This classically-styled, vintage, double-strand faux Pearl Necklace would be perfect for a bride or bridesmaid. 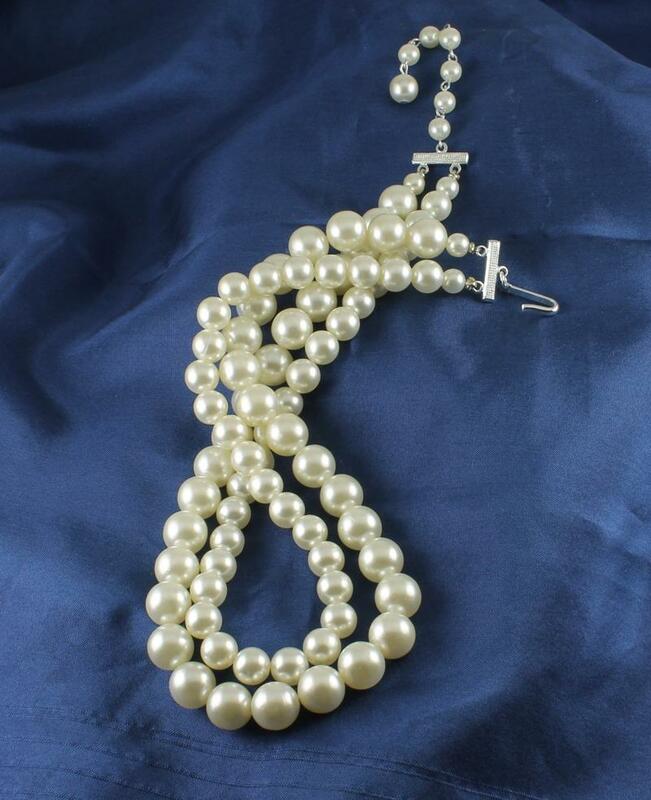 It can be elegantly worn on formal occasions, or will look just as stunning with your casual gear (a la Madonna). 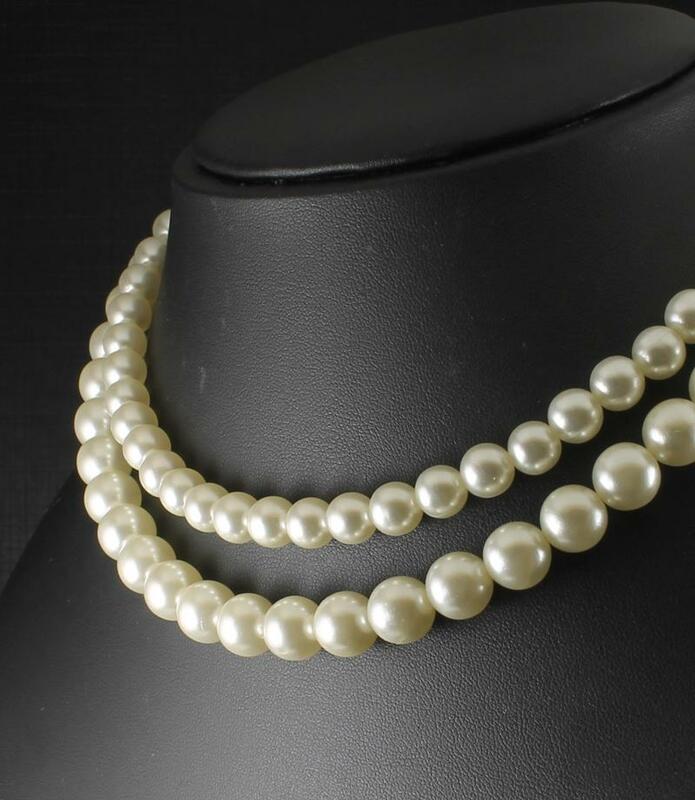 In these days, you can wear white Pearls with your classic black dress, or just as easily mix them with your denims. 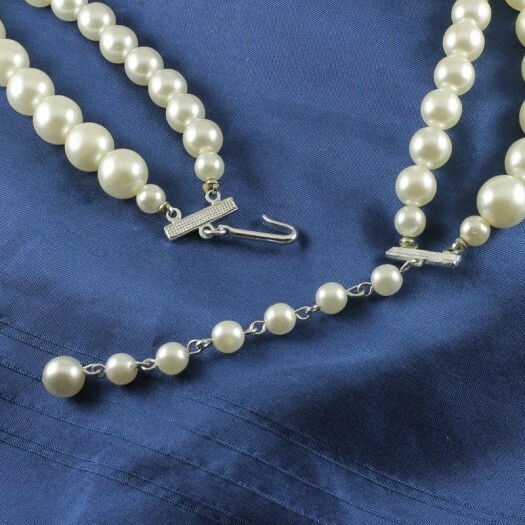 Match your other white Pearl jewellery or set off an outfit of practically any colour.